"The ability to rapidly measure gas composition to such high accuracy is cutting edge," says lead author Sarah Scholten, Ph.D. candidate in the University's School of Physical Sciences. "With further development, it opens the way for real-time and inexpensive monitoring and analysis that can be carried out in the field, or in the doctor's surgery, by non-specialist operators." "This first work aims at atmospheric monitoring, however, the technique is broadly applicable and offers an avenue for near-universal concentration measurements," says Dr. Chris Perrella, Postdoctoral Fellow. 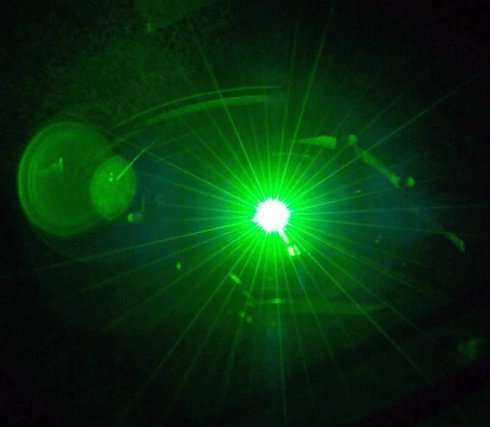 The group now aims to use the laser comb to unravel the chemical composition of the exhaled breath – in this much more complex situation they hope to find tell-tale chemical signs that point to underlying disease. The ultimate goal is to use the laser as a screening tool – to discover a serious illness even before the patient is aware of the condition.